Women are rarely at a loss for words. The Midnight Sisters certainly never are. Join the triplets and Lady Janela as they reveal secrets about themselves and their history. When the triplets are on the scene, someone is bound to be injured and/or maimed. 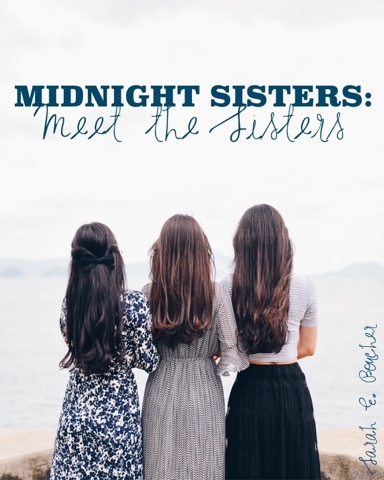 For the first part of Janela's scene, read about her adventure with Daniela in Midnight Sisters: Meet the Sisters II. “It’s mine!” Gisella snatched the toy horse from Hayla and bopped her on the head with it. Hard. Hayla began crying at the top of her lungs. “Meanie!” Isella screeched, grabbing at the horse. Gisella yanked back. Isella let go of the toy and it smashed into her sister’s cheek. Gisella erupted into tears. Poor toy horse. Stubby bits hung from its hind end where the tail should be. Did I imagine the pained look on its wooden face? “Markus!” From the sharp edge in her voice, I could tell it wasn’t the first time Mrs. Jenkins had called my name. The two small girls blinked up at me, their eyes round and brimming with innocence. “No!” Hayla snatched the toy from her sister. “Horsey say, ‘niegh, neigh!’” She pranced Horsey in the air to demonstrate. 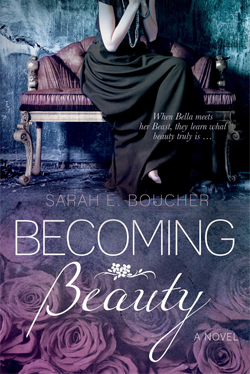 Rage glimmered in Isella’s eyes and her rosebud mouth tightened into a dot. Dread pooled in my stomach. “He’s mine!” she screamed and grabbed for the toy. Was it just my imagination or did Horsey flinch? Hayla kept a tight hold on the toy. Back and forth Horsey went. Then with a mighty heave, Isella yanked the horse from her sister’s grasp and let out a cry of triumph. But it was too soon. She had pulled too hard. The toy arced through the air, flying out of her grasp. It fell impossibly slow. My first instinct was to protect the girls. I covered each of their heads with an arm. I tipped my head upward. “Owwwww!” I howled, clapping a hand to my eye. Tears poured down my face. “I can’t see! I can’t see!” Small people scurried off. At the same moment a larger form shuffled up to me. My younger sisters tootled over. Their matching pink frocks made them look sweet, I thought. But their cranky expressions and smelly diapers did not. Daniela had gone inside, leaving me to clean up the mud pie mess. And deal with the triplets. “Hello, girls,” I said brightly, trying not to frown at the smell they brought with them. “Jani?” one of the tiny terrors said. She reached a grubby hand into the mud-caked can and drew forth a brown-speckled palm. “No!” I grabbed the hand before she popped it in her mouth. I wiped it on my muddy apron. Her lip quivered and her large eyes filled with tears. Her mouth opened and a loud waaaah came out. The other two girls picked up the cue and began crying too. I clapped my hands to my ears and squeezed my eyes shut. Why did Dani have to leave? I’d have to do something myself. “Want a tweat, girls?” I pointed toward the pan containing our mud pie. It looked good enough to eat. “Ooh,” another of the terrors cooed, shuffling over to where the pie sat baking in the sun. The other two left off crying to investigate. I swiped a finger over the mud pie and popped it into my mouth. “Mmmm . . .” Dirt clung to my tongue. I tried not to choke on it. The first sister thrust a fat hand into the mixture. One of the other triplets grabbed her by the hair and pulled her backwards. More crying followed as the first sister landed flat on her bottom. The third triplet shoved both of them out of the way to get to the pie. She planted her face in it. The other two attacked, wailing as they dragged at her pink frock to get a taste of pie. Engrossed in the treat and resulting tussle, they didn’t see me sneak off. Their wailing grew quieter as they gorged themselves on our latest creation. I smothered my grin with one hand. I couldn’t wait to tell Dani. Learn more about the Midnight Sisters' adventures in Midnight Sisters: Meet the Ladies I, Midnight Sisters: Meet the Ladies II, and Midnight Sisters: Meet the Ladies IV. 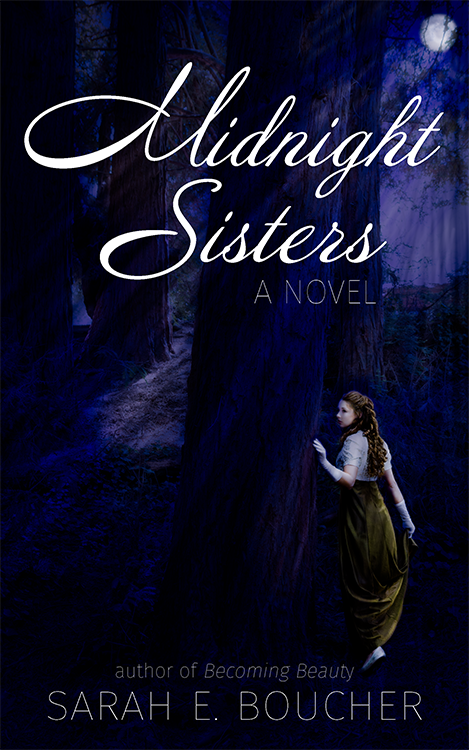 Read the whole story in Midnight Sisters, now available on Amazon. Please contact me directly if you'd like a signed copy!